shows an innovative method of transferring files between mobile phones. 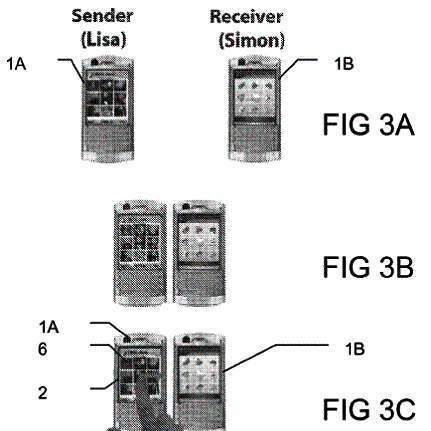 The “portable device with short range communication function” patent offers a “simplified procedure” for sending and receiving data using a drag and drop interface on a mobile phone. 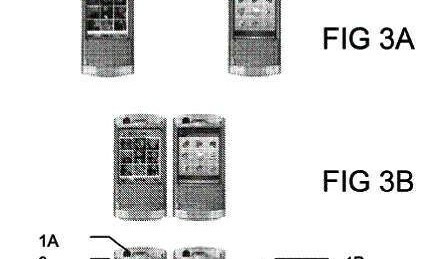 Rather than go through the process of selecting Bluetooth as the how to send option via the menu in a phone, this new interface would allow a Sony Ericsson mobile user to simply drag an item off the side of their phone’s touchscreen in the direction of the device to receive the file. For use with NFC (Near Field Communication) as well as Bluetooth, the action of dragging the item would then create a pop up “Send to X phone?” message and transfer would automatically start. It does not matter in which direction the other user’s phone is as long as the devices are within range for communication.